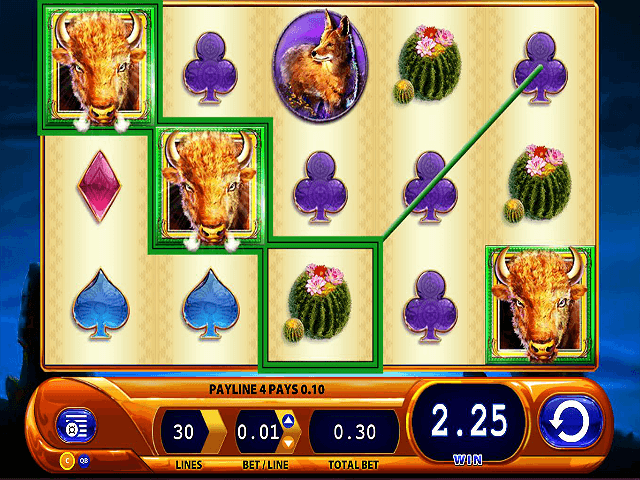 If you consider yourself something of a refined beast, then the Buffalo Spirit video slot from WMS software could be a game that meets your exacting standards. Based on the romantic age of the Native American Indian, this slot features stylish Wild West graphics and artistic symbols, across five reels and 30 pay-lines – with an impressive 1,024 ways to win! Play Buffalo Spirit for Real Money! The Buffalo Spirit video slot is a simple casino game that looks a picture – ideal if you want a relaxing time after a day's hard graft. The slick slotscape takes you into the moonlit West – a land filled with icons of nature including foxes, wild buffaloes, eagles, orchids, owls, cacti, lizards and snakes (plus card suit symbols we assume were brought to town by cowboys!). The game's audio is also pretty chilled, albeit you won't mind a noisy buffalo and announcements of tasty payouts disturbing your downtime. 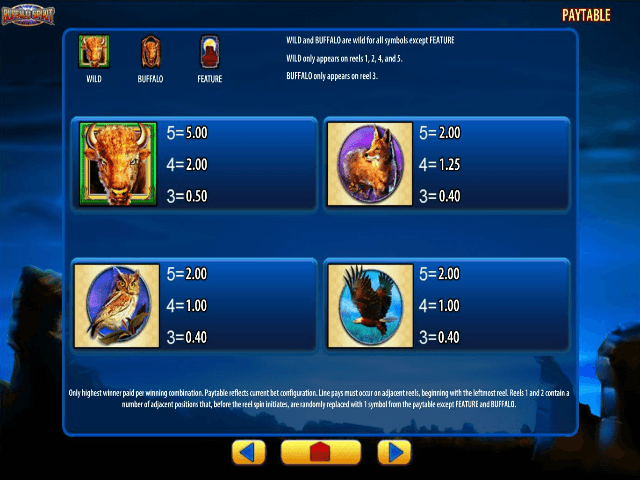 Buffalo Spirit offers a host of potential winning combos and includes three special wild and scatter symbols. The game's basic buffalo wild can land on all reels except the middle – that's reserved for the buffalo head, which can deliver noisy random expanded wilds across the reels. Matching enough moonlit scatters will send you into the mountains where you'll be blessed with free spins and multipliers from the buffalo spirits. With more than 1,000 ways to win and a return-to-player rate of 95.97%, Buffalo Spirit sits proudly in the WMS hall of fame. In Native American mythology, the elders of the tribe would sit beneath the stars and seek blessings from the sacred buffalo spirit, which is why this game gives significance to the moonlit scatter icon. Matching three or more moonlit scatter bonus icons on the reels rewards you with free spins instantly. Players can bank five, eight, 15 or 20 extra free spins within the bonus phase, depending on where two or more bonus icons stop on the reels. One lucrative element of Buffalo Spirit comes virtue of the wild icon, which contributes to winning combos on reels two, three and four. Spinning wild wins will boost your payouts by two or three times. 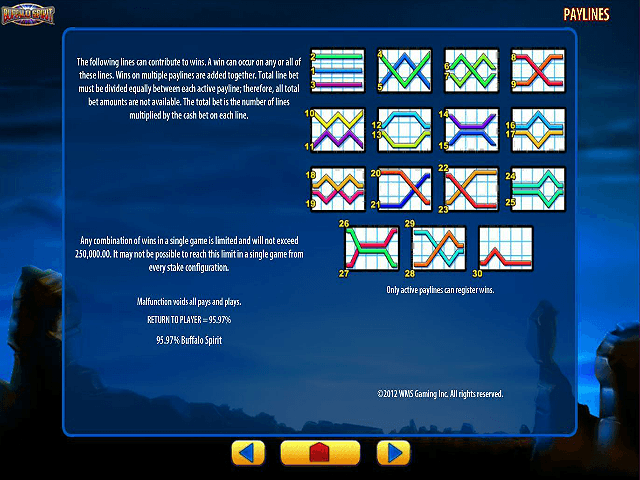 The game also has a free spin feature that guarantees times-ten spin payouts when activated. 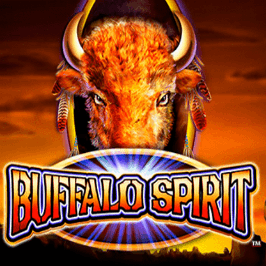 The Buffalo Spirit video slot is a game with a refined vibe and calming theme, with the potential to pay out some big hits if you strike it lucky. Share this Buffalo Spirit Review today! 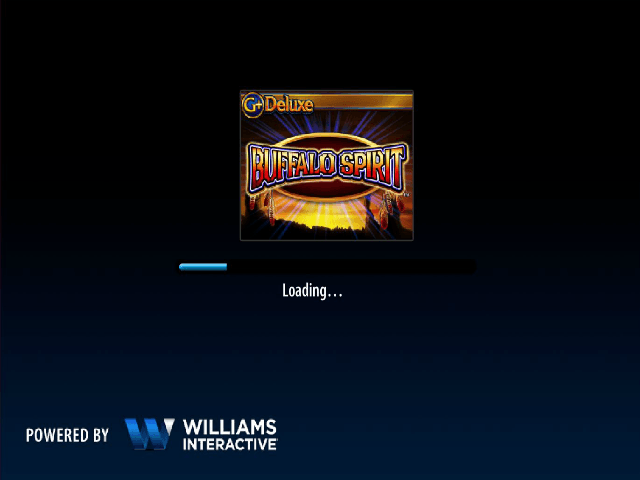 If you like Buffalo Spirit, you'll love these slot titles too!